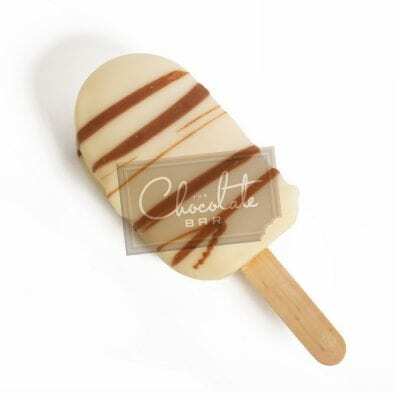 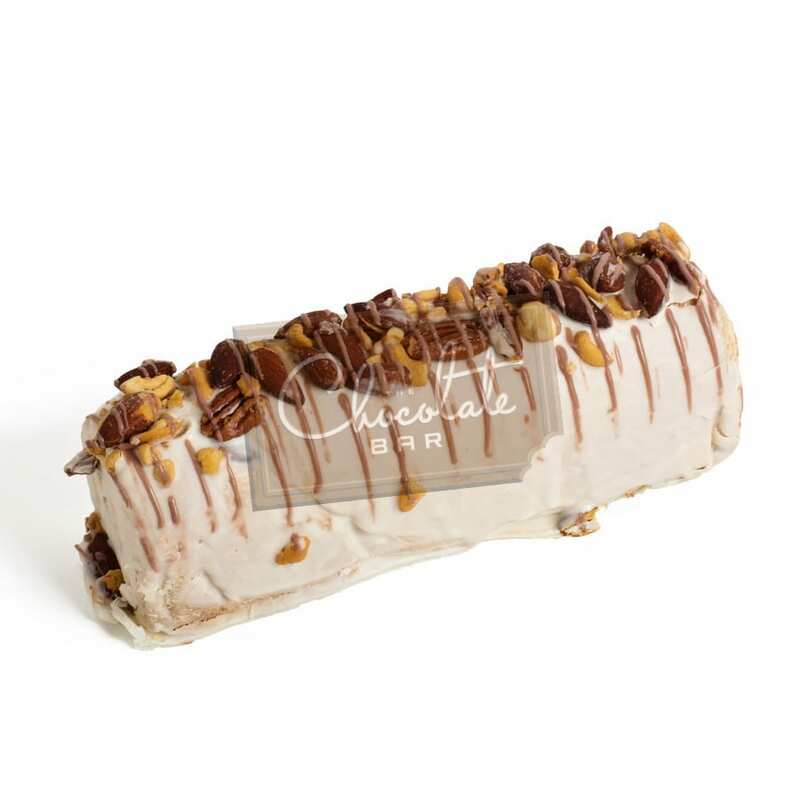 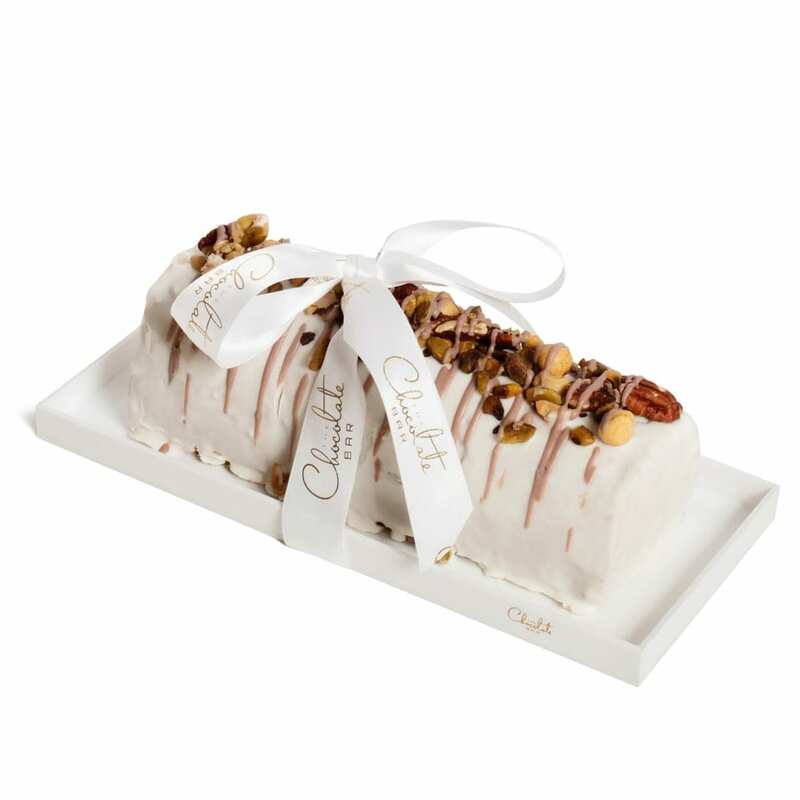 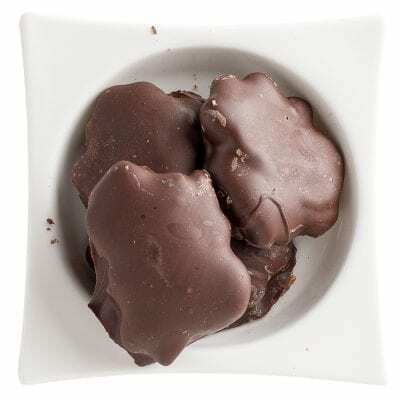 A delicious halva log with nuts is covered in fine white chocolate and a nut mix topping. 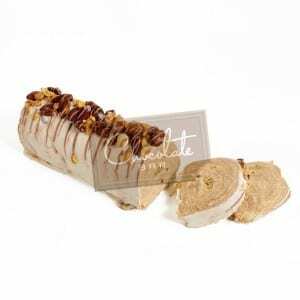 Slice and serve to be enjoyed by many. 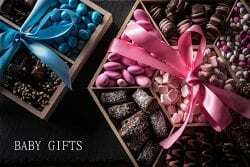 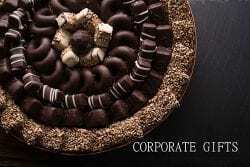 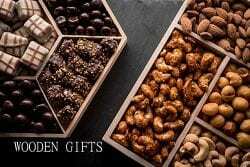 Tray option available for gorgeous gifting!